1 Bedroom Maisonette For Sale in Norwich for Guide Price £175,000. 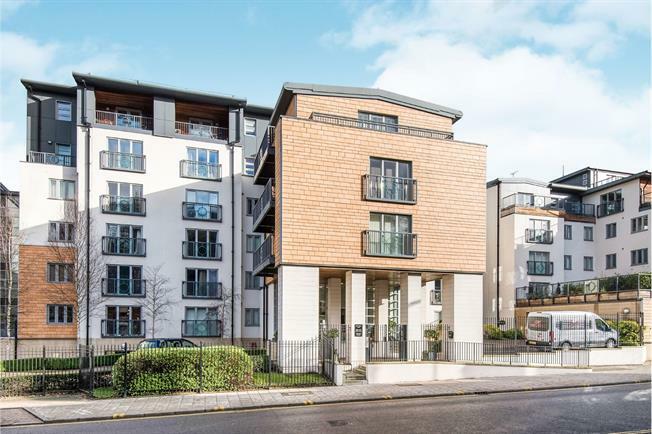 A beautiful one bedroom apartment in a gated development close to the city centre offered with parking. This highly regarded development is set within easy walking distance of the heart of Norwich's City centre known for its historic lanes, several shopping malls and department stores, along with a fantastic choice of restaurants, bars and theatres. Close by are several gyms and the riverside development, which offers a variety of entertainment establishments, eateries and a cinema. There is also a Morrison's superstore set within a few minutes walk along with the mainline station to London Liverpool Street. By car, the property is only a mile away from the A47 and A11 giving connections across the county and beyond. This first floor one bedroom apartment is set in one of the most desired developments in Norwich popular with professionals. Highly secure with gated entry, the beautiful entrance hall and communal spaces make it feel like you are entering a hotel. The apartment itself is generously proportioned throughout, the reception area is a relaxing space with twin doors overlooking the city. The kitchen is adjoining the lounge and is fitted with a built-in oven and hob and looks sleek with its contemporary black finish. The bedroom has built-in wardrobes to one wall and is next to the white-suite bathroom. The property is offered in excellent condition and benefits from a gated parking space. Offered with no onward chain we advise viewing at the earliest convenience.